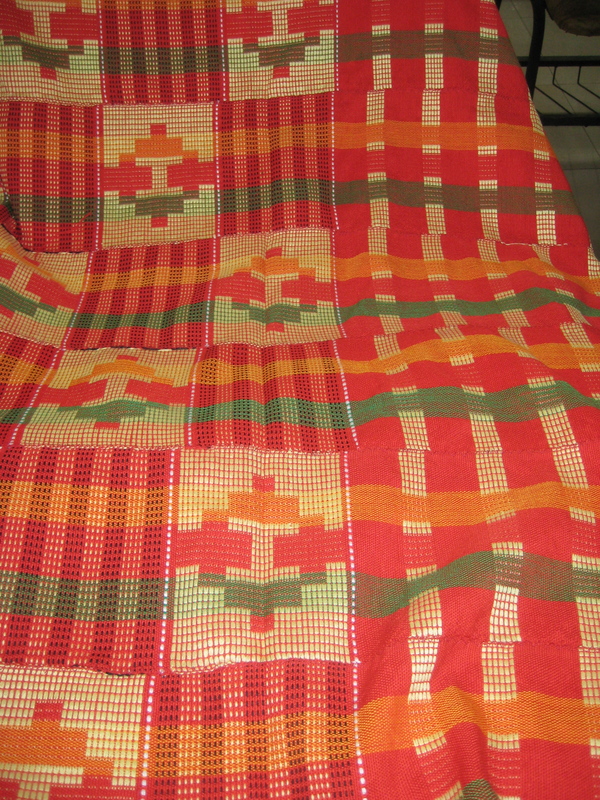 A conversation with one of my classmates towards the end of my time in Ghana really made me think… I was asking around about where I could buy some authentic Kente cloth when Ms. Emma, who sat in front of me, turned around and told me she was a Kente collector. She told me she would bring in some Kente to show me some of her collection and give me a quick Kente lesson before I hit the streets to haggle. 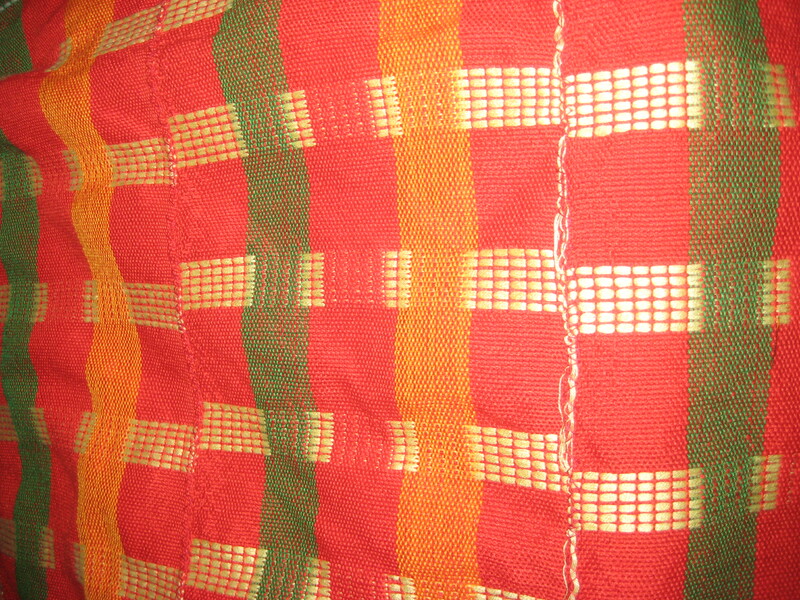 The next day Ms. Emma brought me a new Kente design which is lightweight and woven with rayon fibers. The particular material can be used to make a traditional evening skirt for a woman or even the inside vest of a three-piece suit for a man. As she explained to me the way the weaving works and how the stoles are sewn together, we spoke a bit about her life and her history with Kente. Apparently, Ms. Emma has been sewing traditional Kente outfits for friends and family for the past 45 years (she barely looks 45 years old!). Though she excelled as a designer and seamstress from a very early age, by the time Ms. Emma was ready to pursue higher education, it was the trend of the day for women to go as far in their education as possible. With that in mind Ms. Emma pursued a degree in economics and a career in banking and finance. Ms. Emma said “In my time I didn’t even know people could get degrees in fashion”. 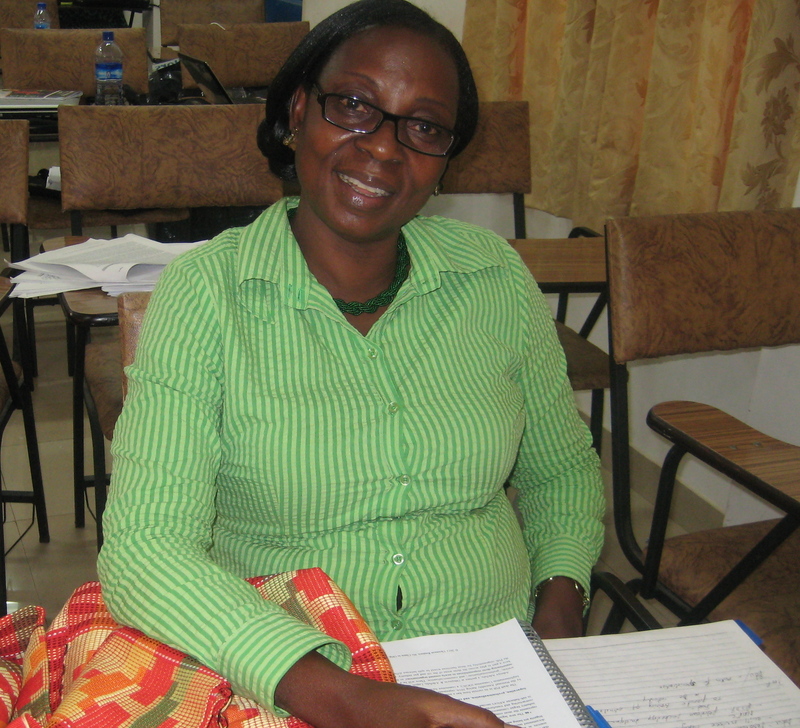 Despite not studying fashion formally, Ms. Emma has been all over the globe working for various financial institutions and after 30 years in banking she is now pursuing a law degree in Ghana. When I asked her if she regretted not pursuing fashion full-time back then, or even now instead of law, she said no. According to Ms. Emma, collecting Kente and fashioning custom creations for her friends and family is her passion and she has absolutely no regrets. I think about what Ms. Emma said a lot. For the past three summers I wrote to Savannah College of Arts and Design requesting an application to their Masters in Fashion Design program. This year I even went as far as having an interview with an admission officer who came up to DC from Atlanta. I cant quite put my finger on whatever it is that has stopped me from going all the way and applying but something about it hasn’t felt right. After speaking to Ms. Emma I realized that a formal fashion education may not be for me or for everyone seeking a design career. Like Ms. Emma, my other talents have taken me around the world (well…at least to Ghana for starters), and have opened doors for me. Nonetheless, fashion is my passion and I’ll continue living without regrets in my pursuit. Check out the pics below for a quick Kente lesson.